Commercials are the new radio. You may have already suspected it, but now it's official, as evidenced by the recent runaway successes of artists such as Canadian singer-songwriter Feist and Israeli crooner Yael Naïm. Plucked from semi-obscurity to provide the soundtracks for, in Feist's case, the Apple iPod Nano with the bouncy "1,2,3,4" and, in Naïm's case, the new Apple MacBook Air with the unforgettable "New Soul," both songs have subsequently catapulted up the Billboard Hot 100. Then there's the rock trio Lifehouse, who in 2007 created the haunting "From Where You Are," specifically for an Allstate Insurance ad. The song soared into the top of the Billboard charts as a direct result of the TV exposure. And last year's catchy clip advertising Rhapsody's availability on TiVo opened with American singer-songwriter Sara Bareilles performing "Love Song" at a piano in the living room of a Rhapsody customer. The response to the ad was immediate. The week after it aired, sales of her album Little Voice more than doubled from the previous week to 15,000, according to Nielsen SoundScan. Two weeks after airing, it almost doubled again, to 27,000 copies. And that's just the tip of the musical iceberg of established and new singers and bands leasing their vocal chords and compositions to major marketers. Russian-born songstress Regina Spektor trills for Vodaphone, XM and JC Penney; Norwegian duo Royksopp play for Geico; and electro-pop duo Bitter:Sweet lend their sultry sound to the likes of Korbel and Victoria's Secret. And so on, and so on. As Rob Schwartz, executive creative director at TBWAChiatDay in Los Angeles, which handles such clients as Apple, Nissan and Anheuser-Busch, points out, "Music in commercials is where the currency is. A lot of times you go to YouTube to look for a commercial, and the first question is, 'What's that song?'" With the walls surrounding record labels, advertisers, brands and artists, entertainment and marketing all tumbling down, Josh Rabinowitz, a director of music for Grey Worldwide, thinks it's only a matter of time before an original musical composition for a commercial hits No. 1 in the Billboard charts. "You'll definitely find much more of that happening," he says. "TV is the new radio, and it's been that way for a while," says Steve Scharf, senior vice president for Carlin Music, which licenses songs for TV, film and commercials. Scharf also has his own company that reps about 50 independent acts for TV and advertising. "It helps expose and make money for the artist. They make more money from a license like that than they will from selling a couple of hundred records." Jerry Plotkin, founder and president of New York's Headroom Digital Audio, says TV is definitely the place to break a band these days. "When I started, back in the heyday of the jingle, everything was song-based, which it still is. But the difference now is that most ad-industry creatives feel that if the song is written specifically for a product, it's cool, whereas to sing about a product isn't cool. Commercials have become little bits of entertainment. It's more about a vibe." In fact, so ubiquitous is the trend, there are even suggestions that the Grammys add two new categories to their roster: Best Original Song and Best Original Score—in a commercial. While Evan Greene, the chief marketing officer of the Grammys, says that's not likely to happen any time soon, he does point out that the Grammy awards are willing to adapt to evolving times. "It certainly makes sense," he says. "Never before has there been more music and in more forms, and never before have there been fewer people to hear it." All of which is hardly surprising, given the shakeup in the music market since the advent and demise of Napster, generally dismal record sales and the phenomenal success of iTunes. It's hardly any wonder that new bands are relying more and more on commercials, as well as TV and films, for exposure, fame and fortune. And forget any notion of selling out. While obviously Neil Young wouldn't agree (though "Keep on Rockin' in the Free World" would be a great song to use, Schwartz points out), "At this juncture in capitalism, there's no such thing as selling out," he says. Historically of course, this wasn't always the case. "Back in the day, the last thing you wanted to be associated with was a commercial," Plotkin says. "I remember how horrified people were when the Beatles' 'Revolution' was licensed to Nike." Since then, the whole paradigm and model has shifted, as established singers and musicians in addition to the Beatles, such as the Rolling Stones (Apple), Bob Dylan (Cadillac) and Led Zeppelin (Cadillac), have increasingly agreed to license their own music for use in commercials. "For me, it began eight years ago, when Lenny Kravitz put out his album 5," says Scharf. "The song 'Fly Away' became a huge car commercial [for the Peugeot 206 in 2000], and it was only after that that Virgin Records and the radio jumped on the song. That, to me, was a real marker in the road and the beginning of advertisers using original masters of existing records of artists, as opposed to creating a new jingle." It's impossible to ignore the impact Apple has had on the whole business. It all started, Schwartz says, back in 1997 with the Apple tagline "Think Different." "Visually, you saw Bob Dylan and John Lennon for a computer brand, and that started a trend," he says. "The next step was when Apple launched the original colors iMac to the Stones' 'She's a Rainbow.' At the same time, Nissan launched the Maxima with the Who's 'Won't Get Fooled Again.' So, historically, the breakthrough came when the legends said it was OK to do it, and it suddenly had currency." The difference between then and now, he says, is that now "you're breaking new artists as well through product launches. 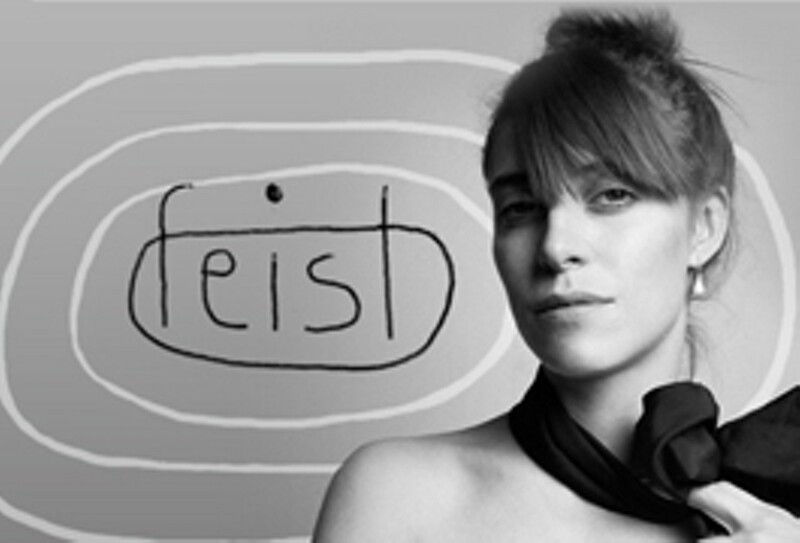 With each Apple launch, there's a new music composition that comes with it, like Feist and Yael Naïm. Clients also often do multiple media formats, not just TV, but YouTube and their own websites. That kind of marketing muscle is not really around for the record label, which is so crushed and squeezed they're looking for all the help they can get on how to market." It was a masterful stroke that led Apple to launch iTunes, thus ensuring even more sales. "Apple has set up to be structured for success," says Schwartz. "They find the right song, they market it on TV and the web, and the first place you can get it is iTunes. The distribution is built into the marketing." But before new music was used in commercials, it first appeared on TV shows. Current hot picks include hits such as Grey's Anatomy, The Riches and Nip/Tuck. According to Scharf, "Indie music has been on TV and in films for well over 10 years, and I was one of the early people who got into it through licensing. More people want their music in film and TV than they do in commercials—not that they wouldn't want a commercial if it was right for them." Rabinowitz, who writes a column for Billboard on the subject of music in advertising, thinks it's all good news for the ad industry. "Advertising is supposed to be creative, and in a way it's not, because sometimes we're just serving up what people want us to serve them. But if the clients are open to it, they can really have a say in what people are listening to, and there's something significant about that." The implications for the music industry itself, however, are less clear. "Before, the music industry was dominated by the record industry. Now it's not, it's shifting," says Rabinowitz. "It's much more about live performance and the digital space, and much less about record sales. The implications for the record business as a whole are pretty dismal." Music in commercials can also have a major impact on the brands themselves. "Think what advertising has done for Old Navy and Target," Rabinowitz says. "Their image has been heavily influenced by the music they use in ads. They're both inexpensive stores. There's nothing cool about them, but music has helped elevate them and their brand awareness to a unique place." It was Target, for example, that recently commissioned Sophia Shorai to re-record the Beatles' "Hello Goodbye" for use in an ad. While licensing a Beatles song does not come cheap, for many advertisers the marketing pros far outweigh the financial cons. As Rabinowitz points out, "Sound stays with you longer than any other sensory input. It's irrefutable. We can filter out visuals, but sound, and especially melody, kind of tattoos itself on your brain."